Sam Hafertepe Jr. and Carson Macedo in Lucas Oil Victory Lane (Photo by Dale Calnan/Image Factor Media). By Tommy Goudge (Friday, September 15, 2017) – 113 drivers signed in to race in the Night Before The Nationals presented by Burger Barn on Friday. Sam Hafertepe, Jr., Carson Macedo, Jordan Thomas, Parker Price-Miller, Ryan Dinning, Mark Bazuin, and Tim Jamieson visited Lucas Oil Victory Lane. By virtue of their Twin 15 A-Feature wins, Hafertepe and Macedo earned guaranteed starting positions in the 35 lap, $12,000-to-win Canadian Sprint Car Nationals A-Feature on Saturday, September 16. 1. 15h Sam Hafertepe Jr.
9. 24 Blake Bomberry Jr.
About Ohsweken Speedway: Founded in 1996, Ohsweken Speedway is a motorsports complex which includes a 3/8 (0.375) mile clay oval track. The facility is owned by the Styres family, and located in the village of Ohsweken, Ontario, Canada. Ohsweken’s weekly Friday night racing program runs from May to September each year, featuring 360 Sprint Cars, Crate Sprint Cars, Thunder Stocks, Mini Stocks, and Bombers, while the season finishes each year with the annual Canadian Sprint Car Nationals. Ohsweken Speedway also hosts weekly Micro Sprint racing on Thursday nights, and has been a yearly stop on the World of Outlaws Sprint Car Series schedule since 2007. 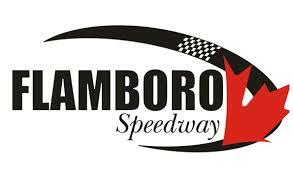 Ohsweken Speedway thanks the following partners for their support in 2017: Arrow Express, Kool Kidz Ice & Water, Corr/Pak Merchandising Inc., Renway Energy, Case IH – O’Neil’s Farm Equipment, Hoosier Tire Canada, EPIC Racewear, McDonald’s Restaurants of Paris & Brantford, Ackland Insurance, Strickland’s GMC, Lucas Oil, Burger Barn, Pinty’s Delicious Foods, Creative Edge Signs & Graphics, Insta-Insulation, Middleport Mechanical, HRW Automotive, and Gale’s Auto Aftermarket.